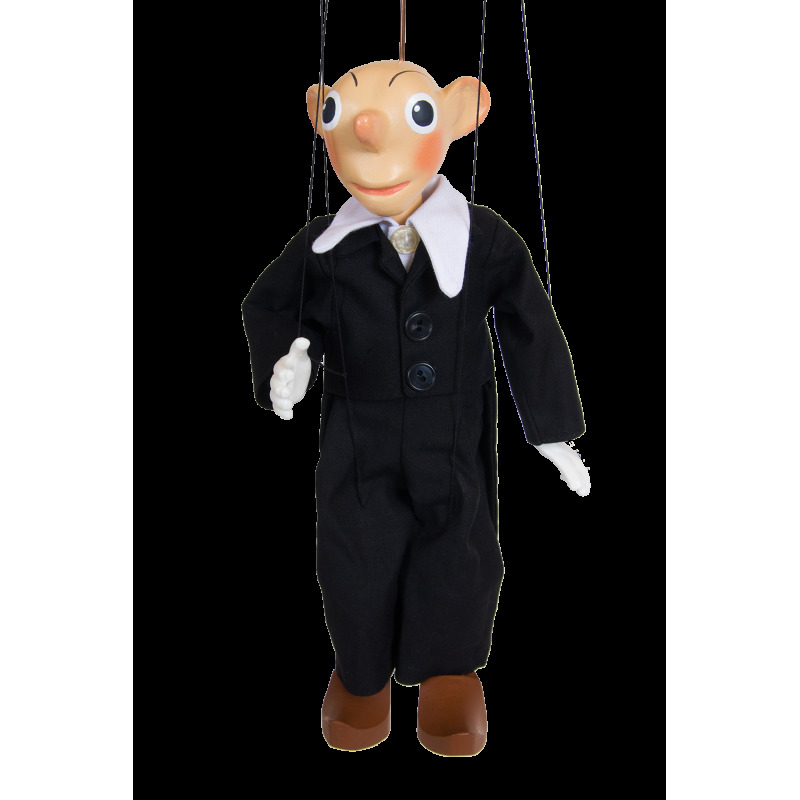 The most famous czech puppet from theater of Spejbl and Hurvinek. 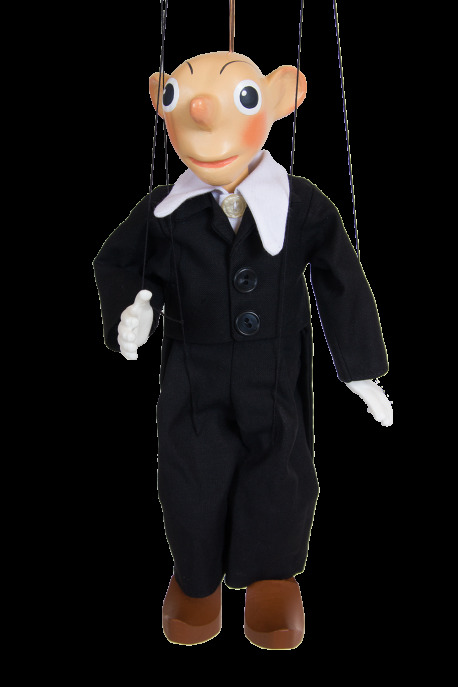 Size of the puppet is 27 cm. Legs and hands are from resin and wood, head are from hard plaster.